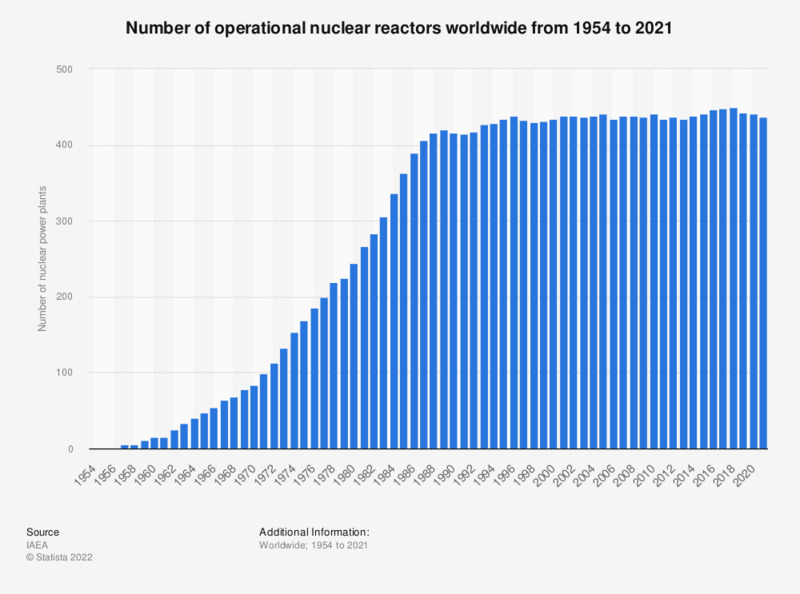 This statistic represents the number of nuclear power plants in operation worldwide between 1954 and 2017. In 2017, there were 448 operational nuclear power plants worldwide. That year, the construction of three new nuclear power plants was started globally.